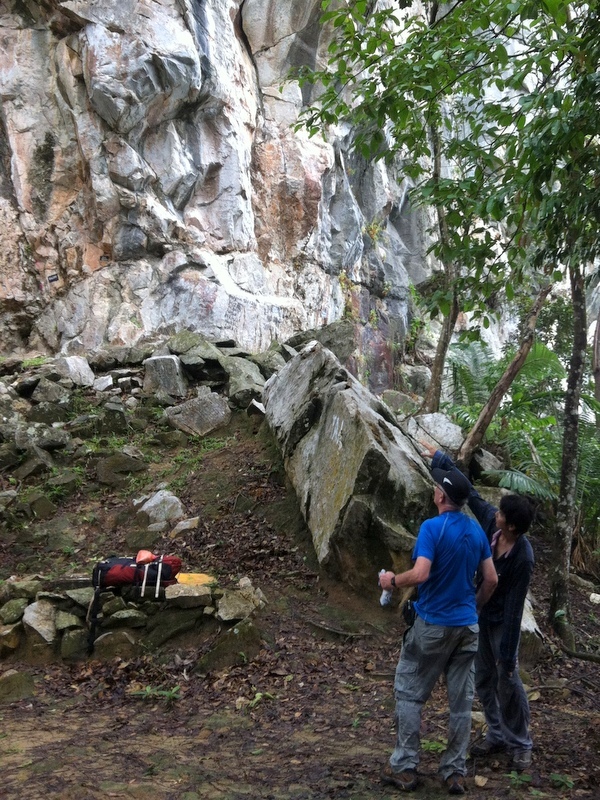 First Chadel explained rope handling, some useful knots and how to secure (belay) a fellow-climber. 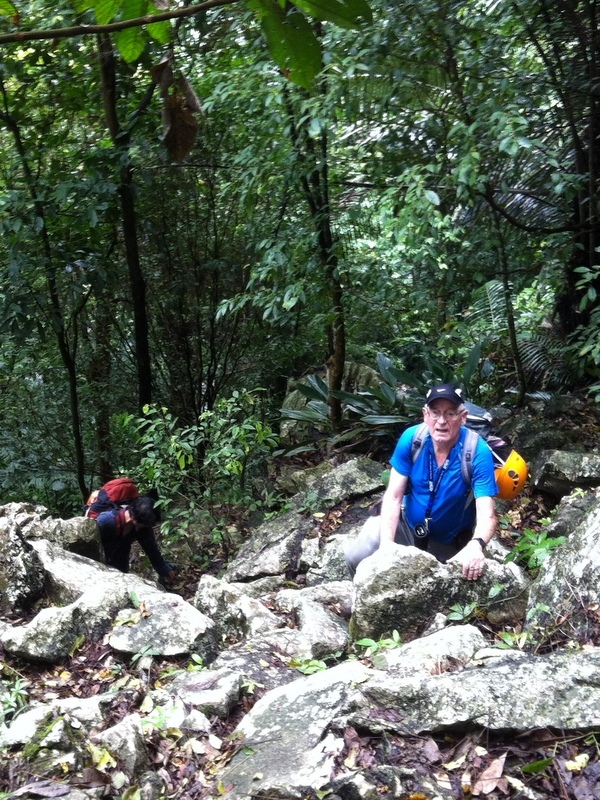 He is an experienced guide and has brought numerous clients to this hill. Chadel went up first. 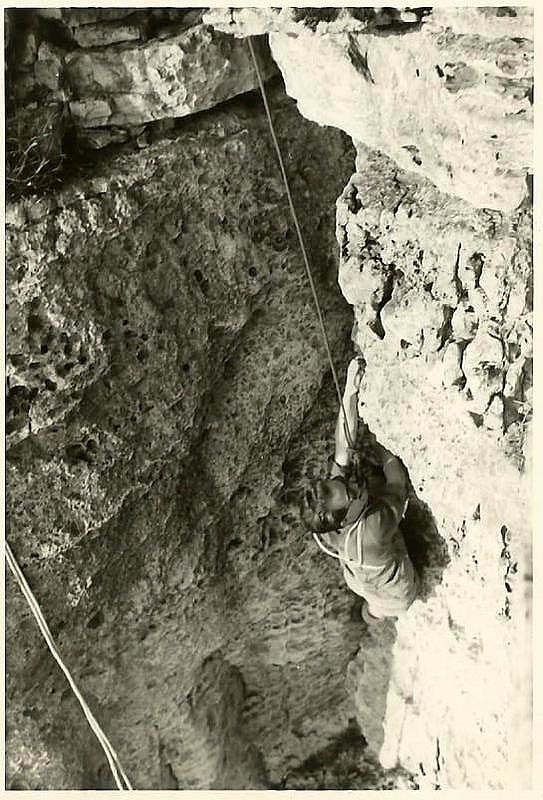 In the left picture he has almost reached the ledge, where he will prepare the safety anchor for Edwin and me. In the middle picture it’s me on the ledge and in the third one Edwin. To be honest, I found it not easy and almost gave up, but thanks to Chadel’s pep talk I made it..:-). 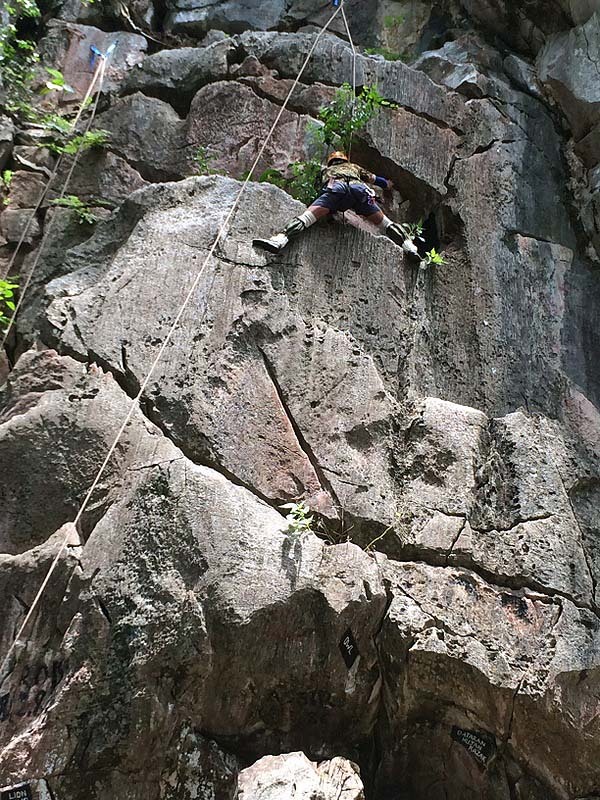 Click on the picture to enlarge it, so you can see how Edwin is belaying me. From the ledge Chadel lowered us down to the base, where we took a rest and had our lunch. 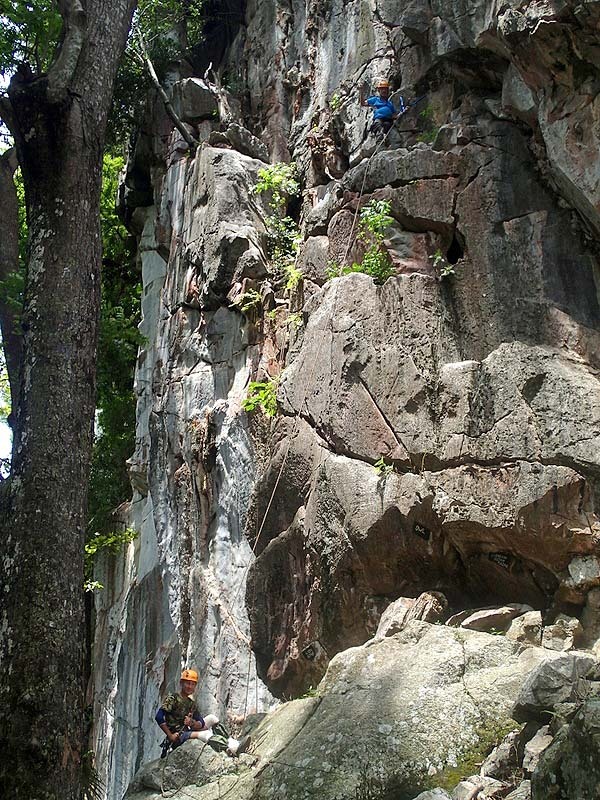 Because this was just a practice climb..:-). 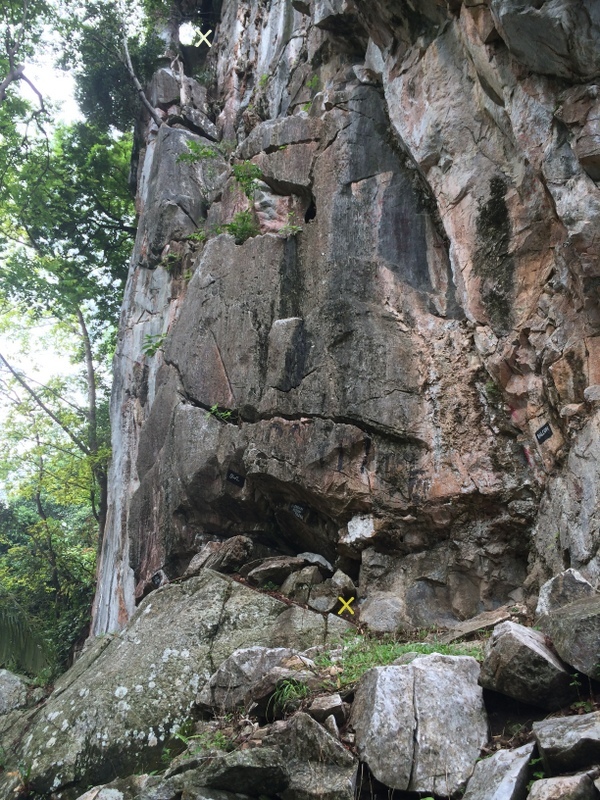 The second half (pitch) of our climb was easier but had a “chimney” as a bottleneck. 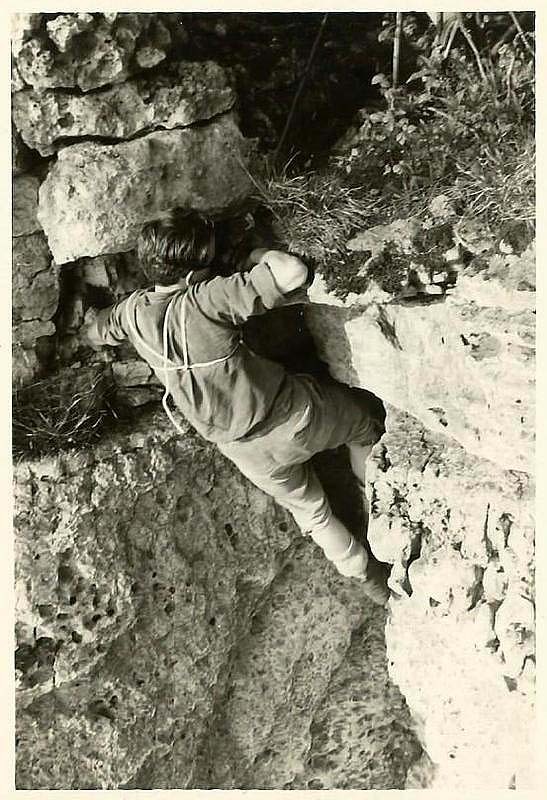 In a chimney you have to use a different climbing technique and here it helped that I had some experience from my mountaineering past. After this second pitch it was an easy scramble up to where we were going to rappel thirty meter down to our starting point. 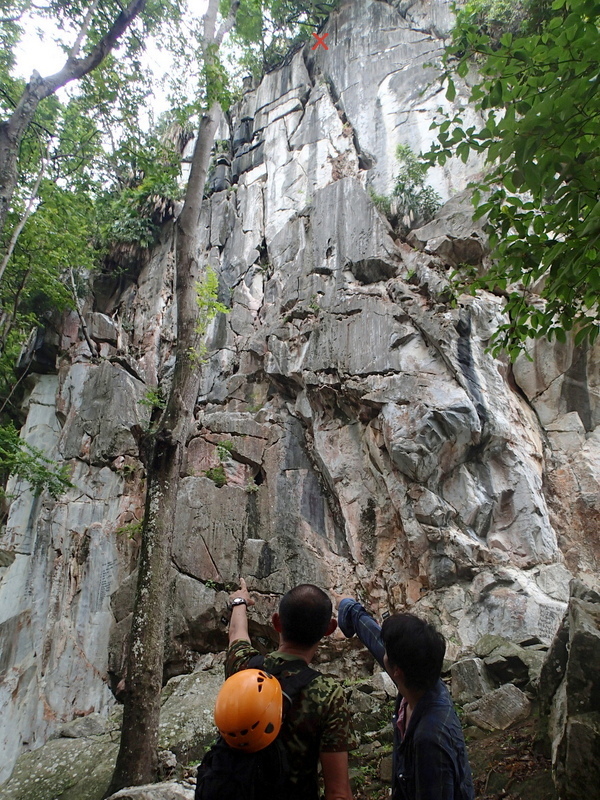 Not taking any risk, Chadel prepared an extra safety rope, in case we would loose our grip on the abseiling rope. The abseiling technique is very different from what I have been doing fifty years ago, Mark the tiny red gadget, that does the trick. I think from my face it is easy to see how happy I was. I also took a few videos. 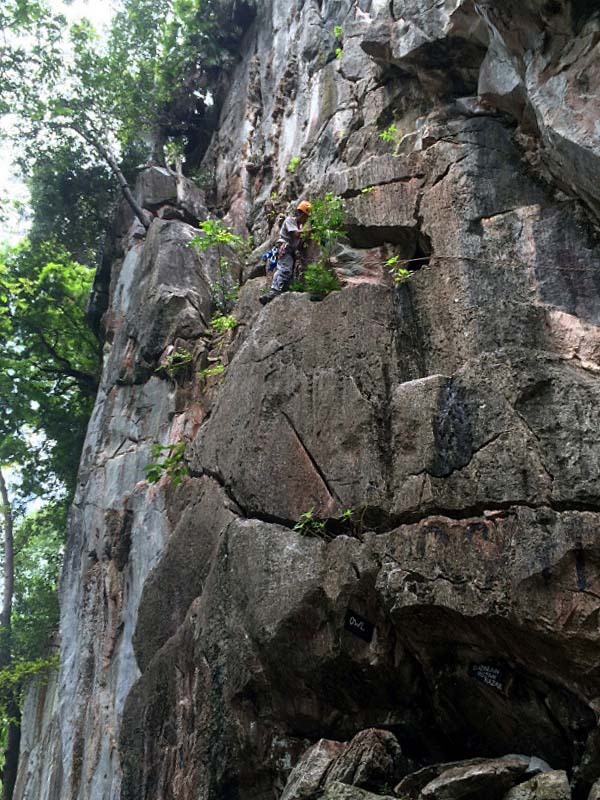 Here Chadel is starting the climb, belayed by Edwin. Thanks for a wonderful trip, Chadel! This week is Holy Week for Western Christianity. On Good Friday Christians celebrate the Crucifixion of Jesus and on Easter Sunday his Resurrection. Throughout the ages people have been inspired by these events to create works of art. 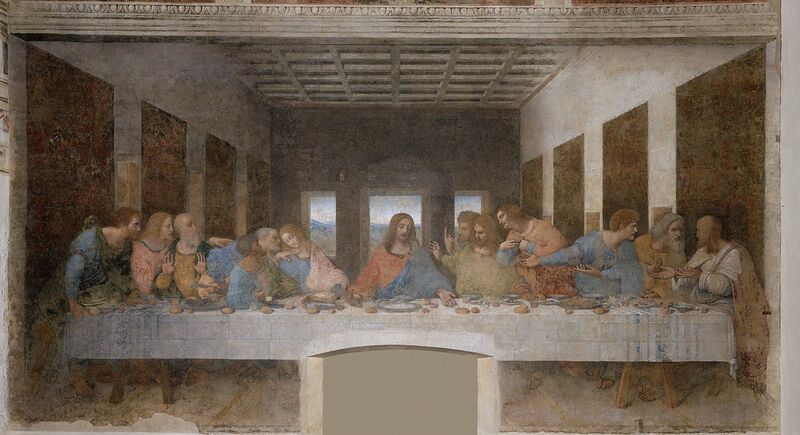 The Last Supper by Leonardo da Vinci (1498) is world famous. 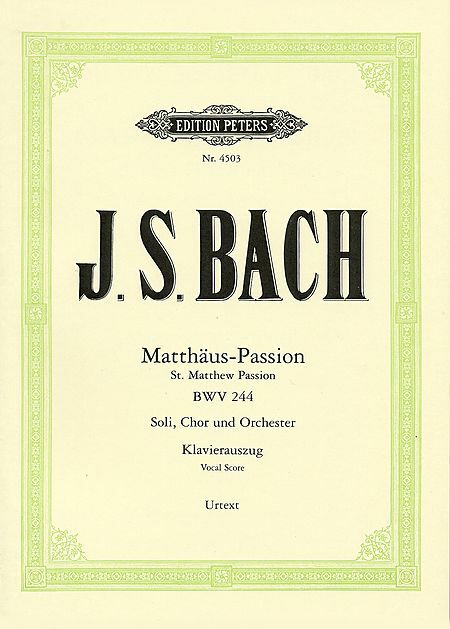 For me the most impressive musical work of art about the last days of Jesus’ life has been written by Johan Sebastian Bach in 1727: the St Matthew passion. When I was a school boy, my father took me for the first time to the Matthäus-Passion as it is called in German. It was performed in a church, and the atmosphere was religious. No applause for example after the concert! At that young age it was a long session, more than three hours. Still I was impressed. When I moved to Amsterdam in 1961 for my studies, I became a regular concertgoer, mostly listening to the Matthäus Passion in the Concertgebouw. I think I must have attended it more than 40 times. Now that I live most of the time in Malaysia, I can not always attend live performances of the Matthäus Passion, as the work has never been performed here as far as I know. But no problem, I have a few recordings on CD and we have now YouTube! You can find there a large number of recordings. Here is my favourite: a recording by Dutch conductor and harpsichordist Ton Koopman in the St Joris church in Amersfoort, March 2005. Very clear and transparent, impressive soloists. The orchestra is playing on authentic Baroque instruments, as is common practice these days. Also considerably faster than in the past. The (beautiful) recording in 1971 by Karl Richter takes 3 hours and 18 minutes, more than half an hour longer than Koopman’s recording. One more recording deserves to be mentioned. In 1989 Gustav Leonhardt, Ton Koopman’s teacher, recorded the Matthäus Passion, with the female parts (alto & soprano) sung by males (counter-tenors and boy-sopranos/altos) as was a common practice in Bach’s time. 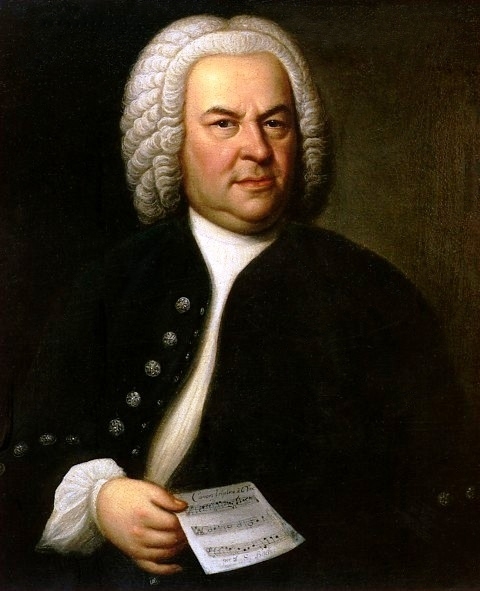 Bach has written more Passions, but of those only the St John Passion has survived. More dramatic, shorter, for many years I did not pay much attention to it. But that has changed…:-) Here is a recording by Ton Koopman . My favourite aria in this Passion is “Es ist volbracht”, written for alto. In Koopman’s recording it is sung by Andreas Scholl. Just now I did a Google News Search for MH370. I got “about 276 million results” That is an amazingly huge number. It reflects the interest of the whole world in the disappearance of Malaysian Airlines flight MH370, now more than one month ago. Here is the plane in better days. Until now the search for the black boxes of the MH370 has been a lot less successful, with no results at all the last two days. After a lot of confusion during the early days, it has now been generally accepted that MH370 has been diverted deliberately from its original course and finally crashed in the Indian Ocean, about 1000-1500 km west of Australia. Here are some maps of the search area, based on a complicated analysis of satellite data. A bit surprisingly, until now no debris has been found. I found another very interesting website, this time not covering the marine traffic, but the air traffic. Flightradar24. Be warned, this site is addictive…! You can follow a flight, from the take off, live, as long as it is wihin reach of the radar. Click on a plane icon and you will get detailed flight information about speed, altitude. This is the information sent by the transponder on board of the plane. It is this transponder that was switched off on board of MH370, when the plane was about to cross over from Malaysian to Vietnamese air space. Just after the transponder was disabled, the plane diverted from its course in a western direction, and later turned to the south. After the disappearance of MH370, MAS has decided to rename the flight from Kuala Lumpur to Beijing from MH370 to MH318. I followed this flight from the start, last night, until it was about to leave Malaysian airspace. It is the last picture below. As usual Aric had done a thorough research for the trip. He suggested that we should not try to cover the whole country (size a bit less than the Netherlands), but limit ourselves to the northern part, Taipei and surroundings. 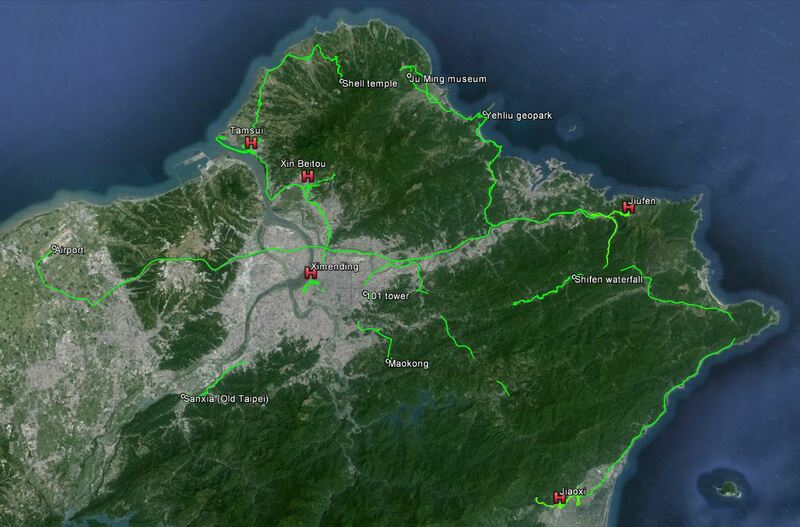 Here is the map of our traveling in Taiwan. The GPS tracks are often broken, in the town because we used the (underground MRT) a lot and in the mountains because of the many tunnels. Click on the map to enlarge. Actually we could have stayed in one hotel in Taipei center and make day trips from there out. Instead we decided to move around to various nice boutiquehotels. 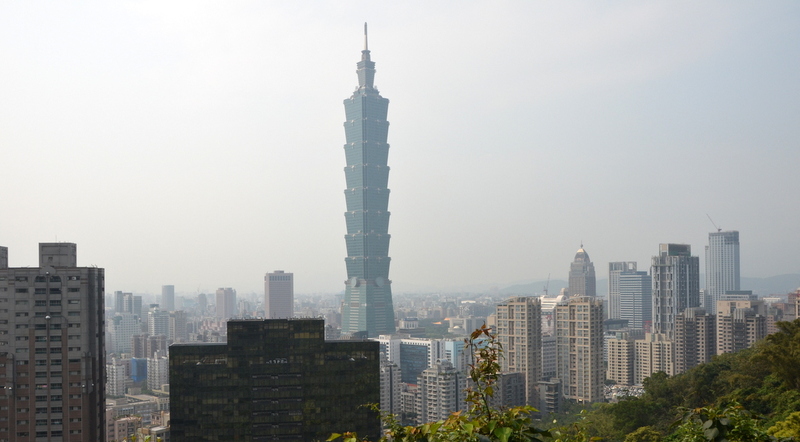 We started in Ximending, the entertainment and shopping district of Taipei. 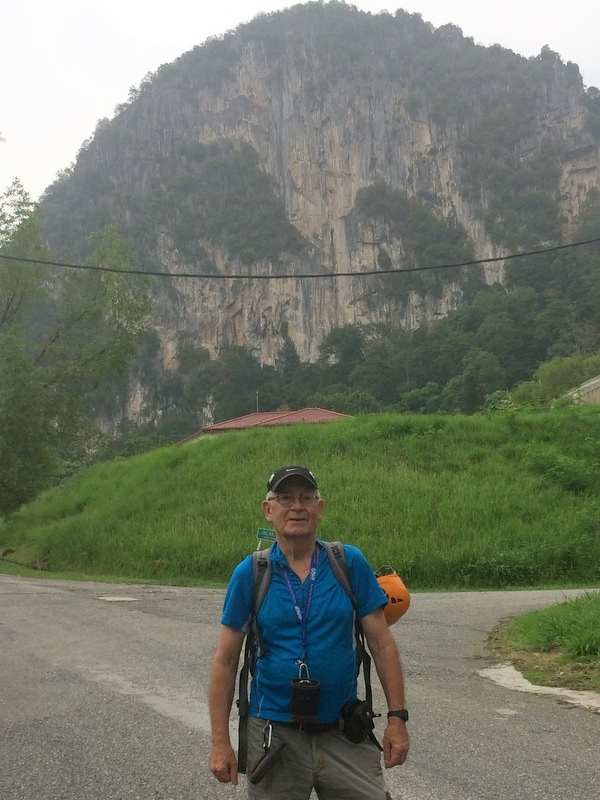 After three days we took the MRT(!) to Tamsui, a suburb of Taipei where we stayed two nights in a nice “room with a view”. Back to Xin Beitou, one night, for the hot springs. After that by bus to the East coast, Jaoxi, two nights in a beautiful apartment with our own private hot spring!. The last three nights up in the hills, in Jiufen, another apartment with a view. 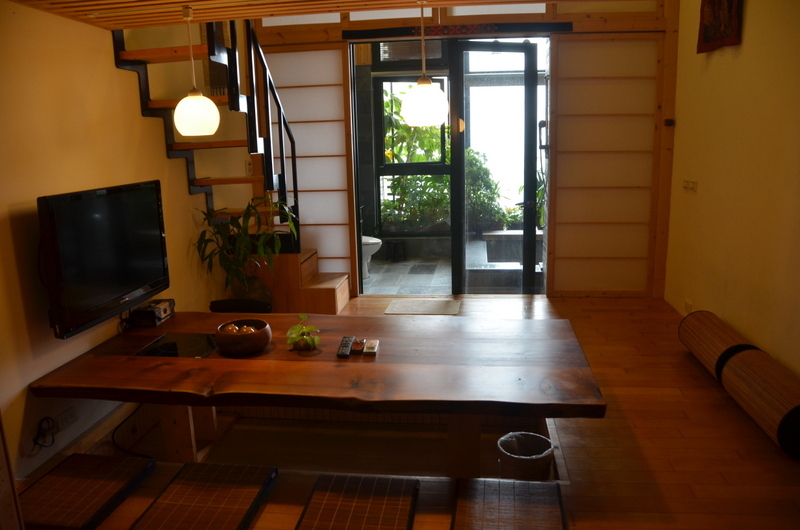 Our apartment in Jaoxi, in Japense style, with a private hot spring bath! The (modern) architecture of Taipei is rather monotonous and a bit boring. Of course there is the “outstanding” landmark of the 101 tower, until a few years ago the tallest building in the world. Personally I think the Petronas towers are much more impressive. Of course we had to go up in the ultra-fast elevator (600 m/minute!) to the observatory on the 91st floor. 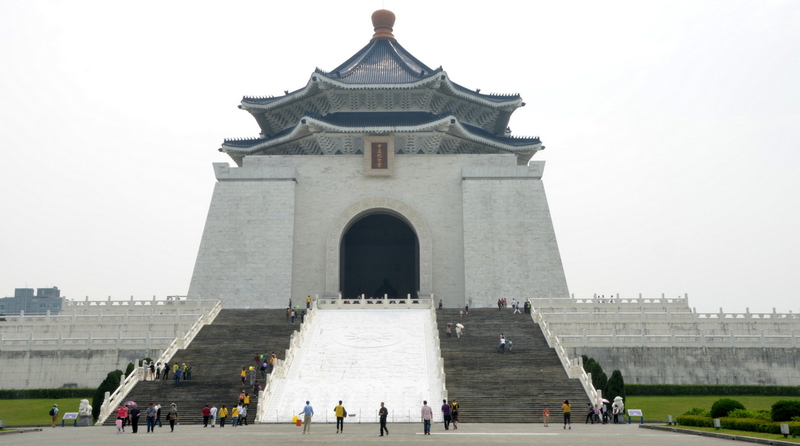 More impressive is the Memorial for Chang Kai-shek, the former president of the Republic of China. It was opened in 1980, on the fifth anniversary of his death. During our visit there was an amusing panda event in the huge square in front of the memorial hall, attracting a big crowd of spectators. Many school children, it was nice to see how disciplined they behaved. Same with the people waiting for the MRT in an orderly queue. 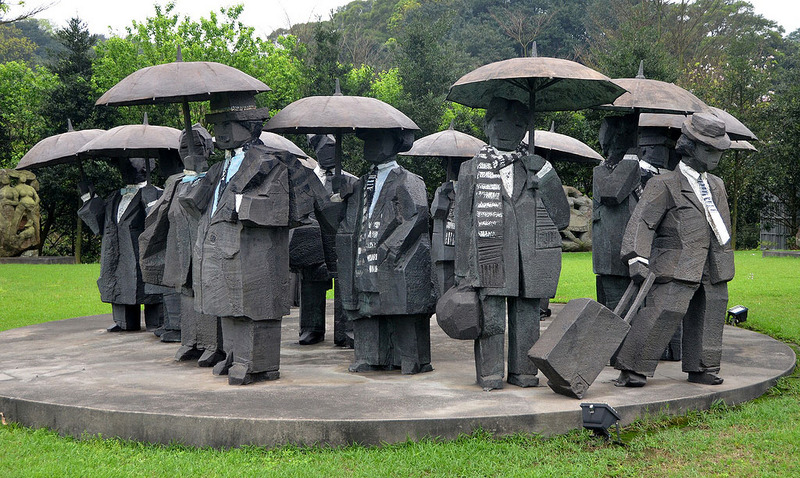 Our general impression of Taiwanese people is very positive, they are friendly and eager to help. We had a busy program, especially the first few days. We visited Sanxi (Old Taipei) where the “Old Street” was built during the Japanese occupation (1895-1945). The Red House is another example of Japanese architecture. Of course we went to the Shilin night market with its underground foodcourt. The MRT transport system makes traveling easy, but you also still have to walk quite a lot! We had chosen this time of the year for our Taiwan visit, because we were hoping to see the cherry blossom. The season lasts only a few weeks and is not really predictable. We were a bit late, but still we could see some. And there were other flowers as well, as it was the beginning of spring. 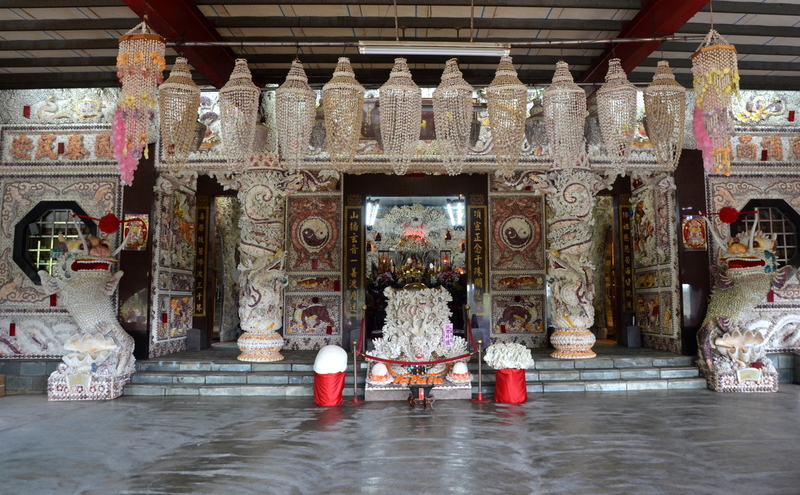 From Tamsui we made a trip to a remote, little known jewel: the Shell Temple (Fufuding temple), completely constructed from sea shells and corals. Quite unbelievable. We had to hire a taxi to go there, but it was worth the effort. One of the famous tourist attractions in Taiwan are the hot spring baths. The public bath culture was introduced during the Japanese occupation. Originally they were free of charge, with a separate pool for men and women, and you are bathing naked. These traditional ones are getting less in numbers, being renovated and modernised, mixed, you have to pay and you need swimwear. A famous hot spring region is Xin Beitou, where we went next. There is a lot of geothermal activity around there and Aric had discovered a remote traditional public bath. We were quite shy to enter, because we were warned that you have to follow the rules, or you will be scolded…:-). But it was a nice experience and I was scolded only once. Mainly older men, who prepare their tea, and chit-chat a lot. We tried another one in Xin Beitou, also a traditional one. And we went to the original Japanese one, now a museum. After Xin Beitou we took a bus to the West Coast, to Jaoxi, another hot spring center. Here Aric had booked a room with a private hot spring bath! In the town on several places there are popular public foot baths. We even had lunch in a restaurant while soaking our feet in the hot water! Also here we found a traditional bath and I even managed, a bit sneakily, to take a picture inside the bath hall…:-) Of course we also used our own private bath. It is easy to get addicted! Our last stop was in Jiufen, a small town in the hills. Popular tourist attraction but most visitors came on a day trip, so in the evening it became quiet. It was good that we had brought our jackets, because it was a lot colder here. From here we made two day trips. For the first one we hired again a taxi. First we went to…. a museum! 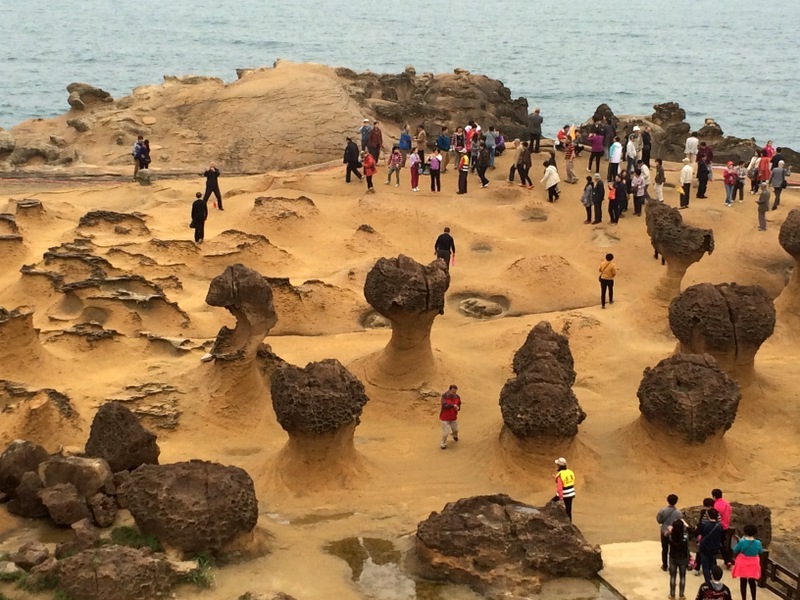 After the museum and lunch we visited the Yehliu Geopark, another surprise. Erosion has over the millions of years created an amazing collection of strange rock shapes. The most famous of them is the Queen’s Head. 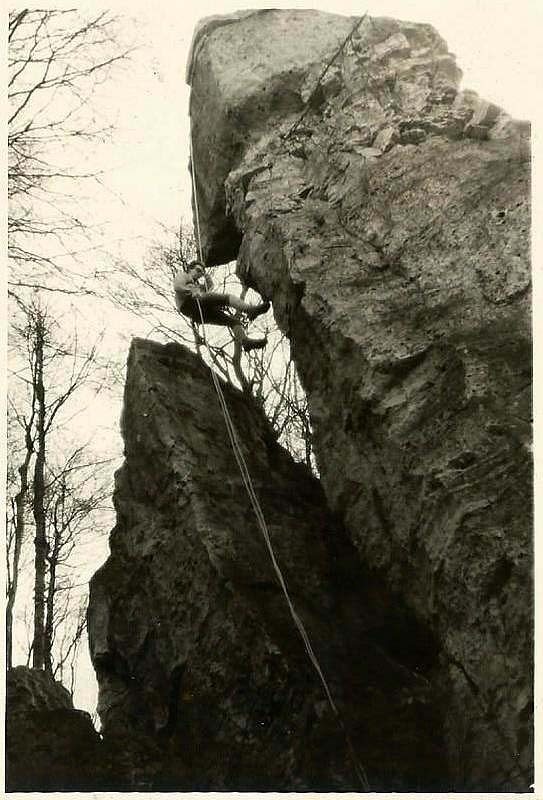 In earlier days you could just touch this rock formation, but now you can only view it from some distance, because unscrupulous visitors scraped some of the soft rock to take home, causing the neck of the queen to become thinner and thinner. The last day we took the train into the hills. In the past this was a coal mining region, now it has become a popular tourist destination.When there is no train coming, the tracks are used for walking. Couples leave bamboo cylinders behind with love(?) messages, a variation on the love locks you find in for example Paris. Another popular activity is to paint a message on a Chinese lantern and let it fly away as a hot air balloon. 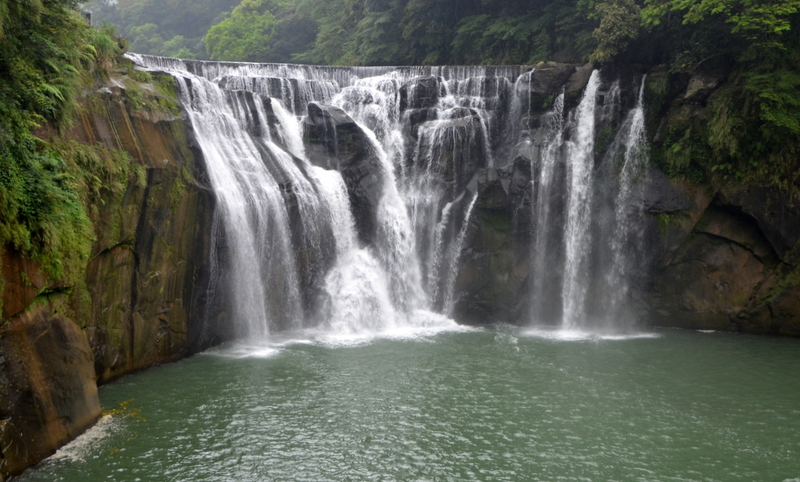 The most famous tourist attraction along this train route is the Shifen waterfall, considered to be the most scenic waterfall of Taiwan. A real beauty. From Jiaoxi we had already visited two other waterfalls. Here are the pictures. It was a wonderful trip, and we are already looking forward to visit Taiwan again. But wait, I almost forgot to mention the food…:-) And I started this blog, mentioning the Taiwanese food. 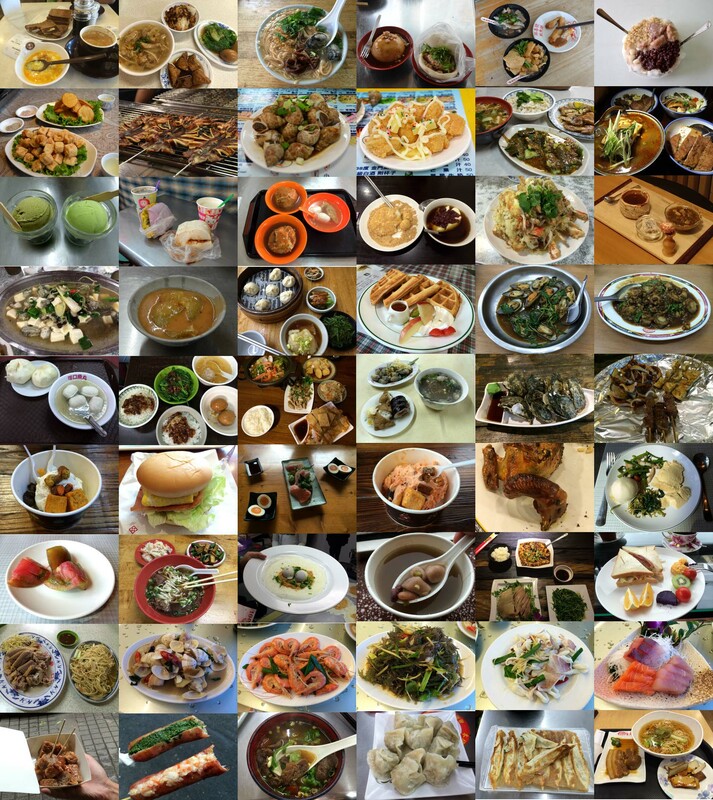 Well, we have done our best and tried as many different Taiwanese specialties as we could find…:-). It was a pleasure every day. Lots of pork, lots of delicious oysters. Menus are in Chinese, so I had to trust Aric. Here is a collage of what we had, I don’t know the names. I also shot a number of video’s, but I will put them in a separate blog, as this one is already longer than usual.